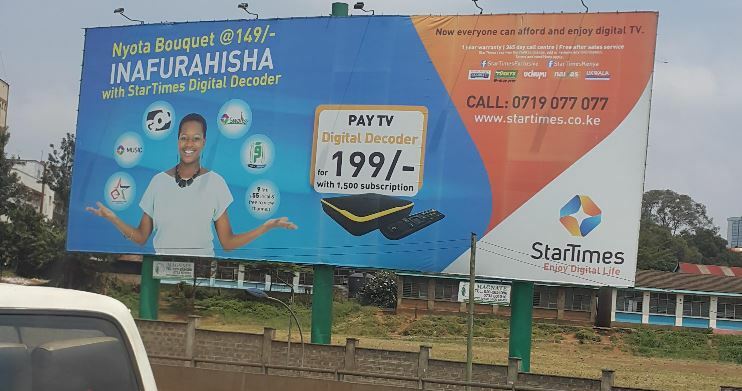 StarTimes Media has just rolled out a new and extremely aggressive campaign with the aim of growing its subscriber base. StarTimes VP Mark Lisboa notes that this campaign where StarTimes has waived the KES 999 fee for their decoder is aimed at making it increasingly affordable for Kenyans to access digital television through the company’s satellite television service which now covers 100% of Kenya as a country. What’s more is that any existing StarTimes customers on their satellite packages will enjoy an extra one week for every month subscribed to the Super bouquet. This freebie is valued at KES 625. Similarly, for every month subscribed to the Smart Bouquet, customers will enjoy an equivalent one month on Sports plus bouquet. This freebie is valued at KES 600 and will give access to both Bundesliga and Serie A football leagues. Another new offer that has been introduced is to benefit new and existing subscribers on the StarTimes digital terrestrial platform. New subscribers who acquire the StarTimes terrestrial decoder for KES 949 will enjoy 6 weeks, 3 weeks or 2 weeks free access to the sports plus bouquet on enrolling to the Basic, Classic or Unique bouquet respectively before 28th February 2016. Existing subscribers on the terrestrial platform will enjoy 1 month access to the Sports Plus bouquet for each month subscribed to either Basic or Classic bouquet for KES 499 or KES 999 respectively while Unique bouquet subscribers will enjoy an extra week for each month subscribed to the bouquet that is currently retailing at KES 2,099. The full installation for a StarTimes Satellite Television kit will now cost KES 4,499. This includes the KES 2,000 for the Dish, LNB, 20m Cable and accessories in addition to the KES 2,499 subscription fees that will also secure a free satellite decoder.